Strengthens commitment to drive the financial empowerment of its customers in Kuwait in line with its future vision. 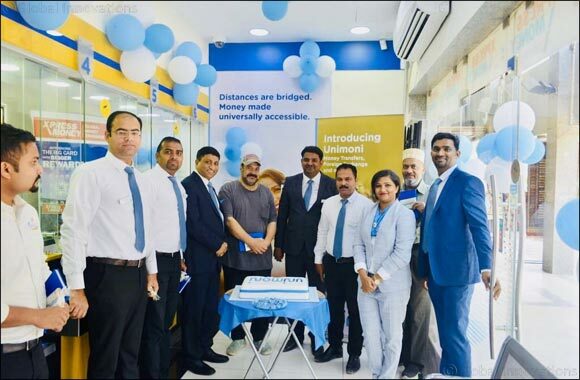 Kuwait, 04 July 2018: Kuwait National Exchange WLL, a leading money transfer and foreign currency exchange provider and a member of the UAE Exchange Group, announced its rebranding as “Unimoni”. This makes Kuwait the second country in the Group’s global network to adopt the Unimoni brand. Unimoni, short for “Universal Money”, will drive the agenda of providing a broad spectrum of innovative financial services across geographies, currencies and channels, enabling customers to achieve their financial ambitions. The rebranding exercise follows an earlier announcement made by noted UAE-based businessman and philanthropist, Dr. Bavaguthu Raghuram Shetty, Founder and Chairman of the UAE Exchange Group. In April 2018, Dr. Shetty launched “Finablr”, a holding company which, subject to regulatory approvals, will bring together his global portfolio of category-leading financial services brands including UAE Exchange, Travelex and Xpress Money under one umbrella.